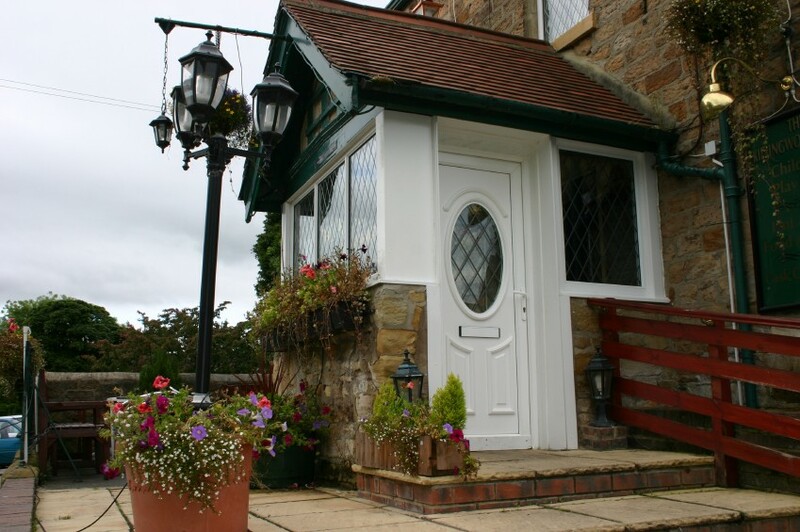 Available in a range of styles and shapes, a porch can be tailored to your exact specifications. A porch not only helps create a perfect first impression for your guests it is also a great way to add extra space for coats, shoes and umbrellas. With such as wide variety of options to choose from, you can decide whether you want to create something bold, or simply extend the elegant beauty of your home. This style is perfect for properties that very little space under the eaves such as bungalows. The elevated roof is perfect if you are looking for something simple with understated lines. Perfect for traditional properties, this style of porch features a triangular shaped roof with a long ridge down the centre of the enclosure. This Elizabethan design helps create a grand entrance to your property. A double hipped roof is shaped similar to a pyramid and provides a solid, compact appearance that is perfect for a home with more space at the front. The simple yet elegant design of a flat porch roof makes it suitable for almost any type of home. The flat roof design also makes this a perfect solution if you have a deep window located about the front door. 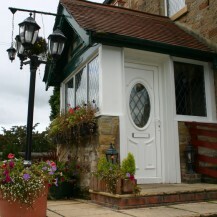 The addition of a porch to the front of a bungalow adds a decorative opening to any home. Space can often be a limited luxury in smaller bungalows, and a porch offers a cost-effective aperture to the home. There are no special requirements for a bungalow. We suggest using a vetted installer, and full building regulation compliance is mandatory for any changes to an external door unless it is under 30 square meters. DGCOS offers free advice and accredited porch and double glazing installers. Find a member near you. Building a porch at ground level is usually exempt from building regulations if the floor area measures less than 30 square meters. Also in order for a porch to be exempt from building regulations approval, the door between the existing house and new porch must remain in place.